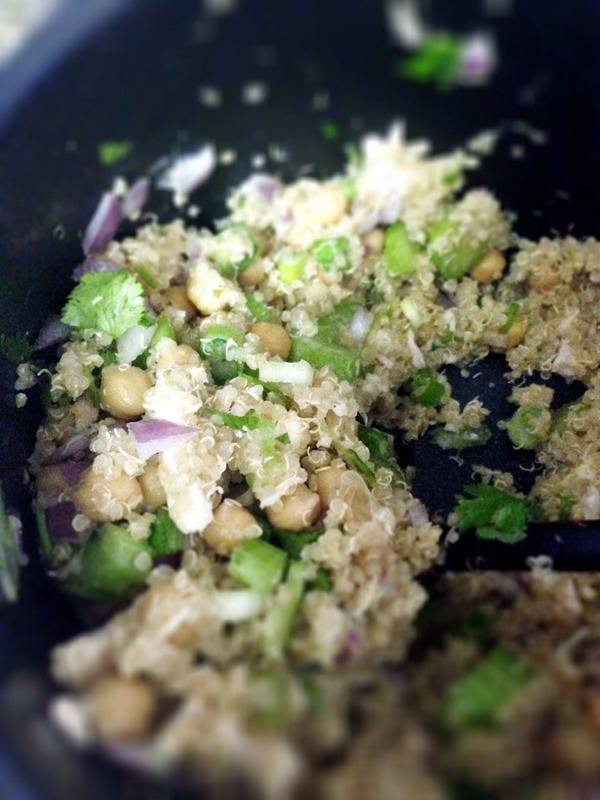 Super Easy Chicken Quinoa Salad! Cook the quinoa in 3 cups of boiling water until completely cooked. Add olive oil. Add minced garlic about 5 min into cooking. Steam chicken breast for 15-20 minutes or until fully cooked. Put cooked quinoa in freezer to cool down. Chop up rest of ingredients. Add chicken + veggies to quinoa.. Done! Please 👍like👍 if you enjoyed this recipe! Thanks guys!